Free crochet patterns are easy to find online. The Internet makes it easy to find great free baby crochet patterns no matter what your level of experience. With hundreds of possibilities at your fingertips, the most difficult choice may be which project to begin first. With so many free patterns available online for everything from blankets to baby booties, you'll have a lot of choices for that crocheted baby project you have in mind. Look for sites with images and clear directions. Bev's Country Cottage has a great collection of free patterns for both knitting and crocheting. There is still a good collection of hats, booties, blankets, bibs, sweaters and more. If you crochet for charity, there are also instructions for blessing gowns and pouches on site. Many of the instructions have great images of the finished projects. 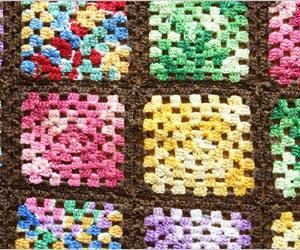 Crochet n More has more than 20 basic patterns for afghans, booties, washcloths and burp cloths. Most of them have pictures. Several of the patterns are made especially for premature babies. Rather than just a list of links to patterns, each pattern has a thumbnail image next to the link so you can actually see what the item looks like without clicking the link. This can help you save time. The website also has crochet instructions and tips. Knitting-Crochet has a small collection of baby outfit patterns, as well as baby afghans and other patterns for children. It also has instructions for converting knitting patterns to crochet patterns, which can be helpful if you do not do both. Coats & Clark is a great yarn company with a wonderful collection of 14 patterns for both babies and children. Organized by use and type of yarn, you will find patterns for sweaters, dresses, accessories and ponchos. They even have an old fashioned soaker pattern. The projects are rated according to ability so that you can choose a project that is right for your level of experience. Craftown has a small collection of patterns for babies including dresses, onesies, sweaters and caps. Many of the patterns have pictures, and you can submit your own patterns for publication on the site. The pictures are small but will still give you a basic idea of what the project is supposed to look like when finished. Crochet Pattern Central has hundreds of patterns for all kinds of projects including a large selection of free crochet baby patterns. There are also separate sections for toddler and preemie patterns. Included in the patterns are vintage and Victorian patterns, as well as crochet patterns for all experience levels. All Free Crochet has close to 20 patterns for a variety of baby items and accessories. You'll even find a pattern for making cute bottle cozies. Lion Brand has baby patterns that are categorized by the item as well as skill level, type of yarn, and the level of experience it takes to make the item. The patterns include toys, as well as clothing and accessories. In addition to the thousands of baby crochet patterns that you can find online, you may also check at your local craft or yarn store the next time you are shopping for yarn. Many times yarn manufacturers will have free patterns printed on small flyers or even on the yarn labels as a service to the customer. Choosing these patterns can help introduce you to a yarn you might not otherwise have tried or a new stitch that you were unaware of. Since the patterns that you get from the Internet or flyers from the craft store are often one- or two-page printouts, they are difficult to store effectively and easy to misplace. To combat this, try getting a three ring binder and clear sleeves. Just slip the pattern into the sleeve and put it in the binder. It is easy to read and will always be where you can find it. Crocheting is a relaxing hobby and a wonderful way to create items for the baby in your life. When you can get so many patterns for free, you are sure to always have an interesting project available.